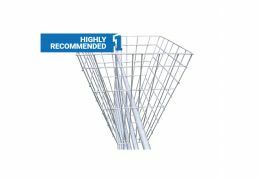 A quality feed trough of rigid construction. Built to withstand life in the field, with a strong build yet lightweight design. Easy to clean. 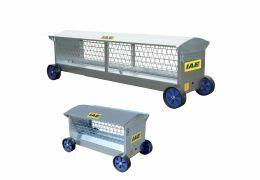 The large feet give it stability whilst raising the trough off the ground. Suitable for a variety of livestock including Sheep, Alpacas, Goats, Ponies, Pigs and Deer. 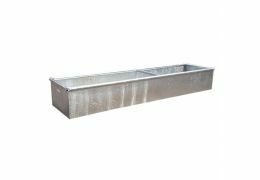 This trough is available in 2 sizes ranging from 1830mm to 2745mm long.